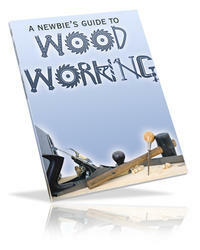 Sell Amencan Woodworker in your store, risk free. Call (800) 845-8050 for details. 01 M^r* fexUto Ire. U Rn:*«. fiuow; ArUiTt fexUte. Chmmun oi the Board: ÄU** Teufel. FYcuä-« of Prws. SLB3CWPTK* RATtS: U.S or*yvv. *24; H*. $3Ä CifuCr fcW. In your "Buyer's Guide to Bandsaws" (AW *38), you should have rated 22 machines instead of 21. Missing was the ShopSmith Mark IV. When space is limited, budget is small, and demand is not great, the ShopSmith delivers quality cuts. Mine has, day after day and week after week, for years. It also would have been nice to see a few Midwestern sources for band-saw blades. As was pointed out in the issue, all blades are not the same. I've had very good results buying blades made by Contour Saws, Inc. (8(XM58-9034). Contour blades are sold nationwide through local distributors. I've read and looked and daydreamed over your magazine for years, trying to get my husband to make something. Now that I'm retired, I believe I'll just do it myself. "Gallery" is my favorite section; I'm always amazed at the beauty in people's minds. The fact that women are represented gave me the encouragement to get started. 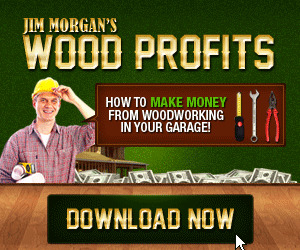 For any woodworker who is frustrated by not being able to afford a fully equipped workshop, I have found a solution through my local community education program. When 1 moved to Washington state, I was disappointed to find that no shop classes were being offered in my area. So I contacted the local community education office and proposed an open wood-shop class. The idea was accepted with great enthusiasm. Before I knew it, we were meeting twice a week for two-and-a-half hours per night in the high school's woodshop. The cost of the class is minimal at $20 for eight sessions. I have found this a great way to gain access to a well-equipped shop. It also provides a place where woodworkers can share ideas, techniques and plans. I'm still suspicious of tung oil ("Letters," AW *38). From the Columbia Encyclopedia, third edition, under "tung oil," I read: "...the oil itself is expressed from the poisonous seeds found in the heart of the tung fruit..." It may still be OK; castor beans, in the same family, are poisonous, but castor oil is merely disgusting. Also, I would want to do some checking before I tried turning talc (page 66, same issue), and I suspect I would be a bit fussier about dust. Talc is closely related to asbestos minerals, although it is not fibrous. 1 believe I have read somewhere that it is actually no longer used in talcum powder. On a more positive note, here's a brief postscript to Peter Korn's article on bent lamination (same issue, page 28). I've combined steam bending with laminating for making stem-pieces for stripper canoes. There are fewer pieces, less breakage, and less springback. These short pieces of wood can be steamed in a microwave oven. Soak first, then heat. If you leave them in too long, the water will boil out and you'll have to start over; but if the timing is right it works beautifully. Re: Makita 2012 Portable Planers. In the last issue roffcuts," AW *39), we incorrectly reported that Makita will install free lock knobs on early Model 2012 portable planers. William Sargent, the author of "Turning Figured Talc" (AW *38), wasn't available for comment as we tnit "Letters" together. According to Den Grosz, of the Blue Gem Agate Shop (7315 10th Ave. SW, Alexandria, MS 56308; 612-762-1973), there is a danger of inhaling too much talc dust. Hut it's the same danger you face when using talcum powder. "The figured dendritic talc I sell to craftspeople is mined from the same deposit that supplies companies like fohnson & fohtison, who make talcum powder," explains Grosz. "We've sold talc blocks to hundreds of people," he says, "and I haven't yet heard any complaints about respiratory problems." Grosz uses an inexpensive filter mask when working with talc and soaps tone, and he suggests that Olivers take this precaution as well. Other talc turners we talked with agreed with Grosz. The slow speed required for turning the material, combined with its density, means that most of the dust ends up on the floor, where it can pose a different hazard: slipping. Wet-sanding the completed shape tends to load the sandpaper, not the air.